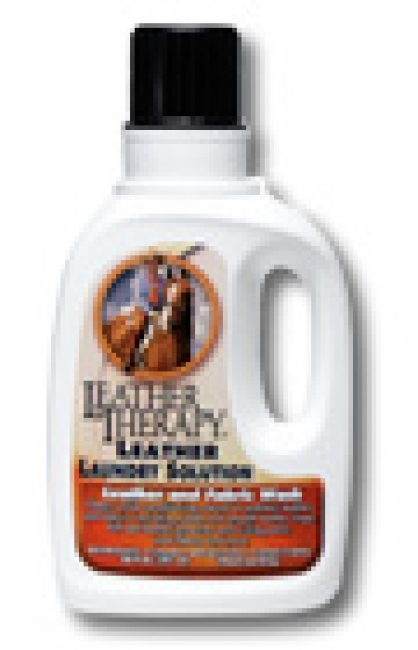 Leather Therapy Leather Laundry Solution. Clean and condition leather, fabric and sheepskin items in your washing machine! Restore the soft feel of suede or smooth leather chaps and full seat leather breeches and riding pants. Horse Journal product of the year.